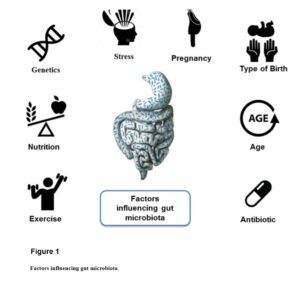 A 2017 Czech study1 looked at the importance of exercise for maintaining optimal health, preventing/treating chronic diseases, and ensuring the well-being of our gut microbiota. What’s the simplest & safest form of exercise? Movement is a basic factor of life and the importance of regular physical activity is both a very effective and cheap means of preventing and treating most non-communicable diseases. When you go to visit your doctor, he or she should consider prescribing suitable physical activity as part of the first line of treatment. *See below for Dr Greger’s view on how much daily exercise we need. The FITT model2 is a more sophisticated way of prescribing physical activity that already requires a stress test. A 2015 study3 looked at the use of FITT for stroke recovery. Recently, it has been shown21 22 23 24 that exercise also changes the gut microbiome25 . One of the mechanisms thought to contribute to the beneficial effect of exercise is so-called “exercise factors”, namely myokines. These are one of several hundred cytokines (any of a number of substances, such as interferon, interleukin, and growth factors, which are secreted by certain cells of the immune system and have an effect on other cells). They are produced and released by muscle cells (myocytes) in response to muscular contractions. A 2014 review26 looked at the current understanding of the positive effects of exercise-induced myokines on metabolic diseases. An earlier study27 discussed IL-6 (Interleukin 6 is an interleukin that acts as both a pro-inflammatory cytokine and an anti-inflammatory myokine, and in humans is encoded by the IL6 gene). This was the first myokine discovered, although many more have since been identified. The authors suggested that myokines may be involved in mediating the health-beneficial effects of exercise and that these in particular are involved in the protection against chronic diseases associated with low-grade inflammation such as diabetes and cardiovascular diseases. The gut microbiome is affected by exercise, being that it is linked to pretty much all systems within the body. 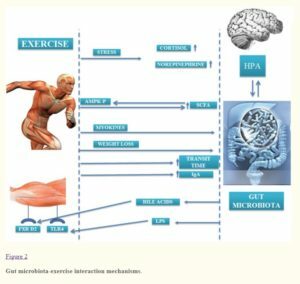 A February 2015 review28 looked at the proposal that physical exercise is able to modify gut microbiota, and thus that this could be another factor by which exercise promotes well-being, since gut microbiota appears to be closely related to health and disease. they review recent findings on gut microbiota modification by exercise, proposing several mechanisms by which physical exercise might cause changes in gut microbiota. Figures 1 and 2 are diagrams from their report. 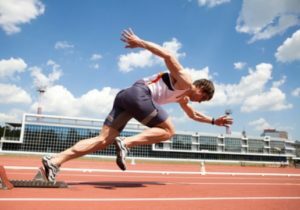 A June 2017 study29 demonstrated that exercise-trained mice had altered gut microbiota compared with non-exercised mice. The exercise resulted in “…an attenuated response to chemical colitis, evidenced by reduced colon shortening, attenuated mucus depletion and augmented expression of cytokines involved in tissue regeneration.” They concluded that: “…Exercise-induced modifications in the gut microbiota can mediate host-microbial interactions with potentially beneficial outcomes for the host.” This study and a subsequent study on human subjects is discussed in more detail in a Natren article30 . When properly prescribed, physical activity is an inexpensive and universal medication with minimal side effects, except feeling well and improving our health. 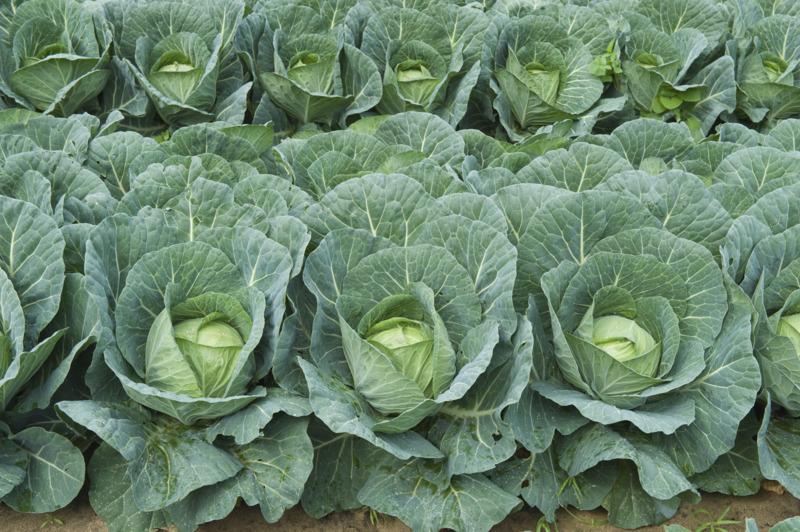 And our gut microbiota benefits from it, ideally when combined with an optimally healthy diet. The Czech authors refer to exercise as our “home pharmacy” that we always have with us. But, as with any medication, you have to use it in order to reap its benefits. Below is a video32 where he explains why this is important. He has also produced a podcast33 on the subject of exercise. Curr Treat Options Cardiovasc Med. 2017 Oct 9;19(11):87. doi: 10.1007/s11936-017-0585-8. Therapeutic Targets for the Multi-system Pathophysiology of Heart Failure: Exercise Training. Too Fit To Fracture: outcomes of a Delphi consensus process on physical activity and exercise recommendations for adults with osteoporosis with or without vertebral fractures. L. M. Giangregorio, S. McGill, J. D. Wark, J. Laprade, A. Heinonen, M. C. Ashe, N. J. MacIntyre, A. M. Cheung, K. Shipp, H. Keller, R. Jain, A. Papaioannou. Osteoporos Int. Author manuscript; available in PMC 2016 Nov 8. Integr Med Res. 2014 Dec;3(4):172-179. doi: 10.1016/j.imr.2014.09.007. Epub 2014 Oct 5. Front Physiol. 2016 Feb 18;7:51. doi: 10.3389/fphys.2016.00051. eCollection 2016. 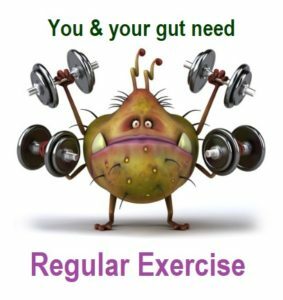 Gut Microbiota Modification: Another Piece in the Puzzle of the Benefits of Physical Exercise in Health?